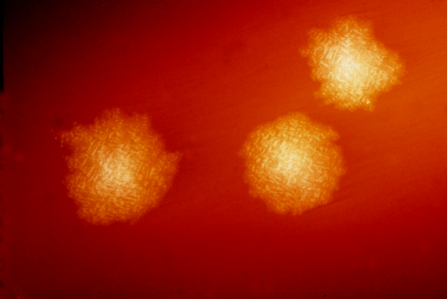 Clostridium difficile infection (CDI) is the most common hospital-acquired infection in the U.S., and has become a global public health issue. The infection can cause a range of gastrointestinal symptoms, which estimates suggest ultimately result in nearly 30,000 deaths every year in the U.S. alone. While the most significant risk factor for CDI is antibiotic treatment, studies in mice by a team at Vanderbilt University School of Medicine now provide new evidence that connects the use of common nonsteroidal anti-inflammatory drugs (NSAID) with increased severity of CDI. Their results also point to the molecular mechanisms that underpin this link. However, they continued, the mechanisms responsible for these associations aren’t understood. “We are always trying to think of modifiable risk factors for this disease,” Aronoff noted. New insights into additional risk factors for CDI severity could help to direct future drug development, the authors suggested. “Defining mechanisms whereby nonantibiotic factors impact CDI pathogenesis promises to reveal actionable targets for preventing or treating this infection,” they commented. NSAIDs are among the most widely prescribed drugs in the U.S., with more than 98 million prescriptions filled every year, and an estimated 29 million people in the U.S. using over-the-counter NSAIDs annually. The drugs act by inhibiting cyclooxygenase (COX) enzyme activity, and blocking the production of prostaglandins, which are known to support gastrointestinal homeostasis and the health of epithelial cells. “NSAID use has been associated with shifts in the gut microbiota, in both rodents and humans, but these shifts have not been explored in the context of CDI,” the team commented. To investigate the link between NSAIDs and CDI the researchers turned to a mouse model of antibiotic-associated CDI. They treated the mice with the NSAID indomethacin for two days before infecting the animals with C. difficile spores, following five days of pretreatment with the broad-spectrum antibiotic cefoperazone. The results showed that even just two days of NSAID use prior to CDI dramatically increased mortality rates. While 80% of the animals that hadn’t received NSAIDs survived the CDI, the survival rate for NSAID-treated animals was just 20%. Analyses at the cellular and genetic level indicated that exposure to indomethacin resulted in alterations to CDI-triggered cellular immune response at the gastrointestinal mucosa, dysregulated the expression of prostaglandin genes, and also increased intestinal inflammation. NSAID pretreatment was also associated with disruption of intestinal epithelial cell tight junctions. Intestinal epithelial cells are the primary barrier against infectious agents in the gastrointestinal tract, and the tight junctions between them prevent the passage of microbes and microbial products across the gut epithelium. The team suggested that their findings highlight the capacity of short-term oral indomethacin to cause an imbalance in PG production and to disrupt the intestinal barrier, which then allows bacteria to cross into the bloodstream. “These data shed new light on potential mechanisms linking NSAID use to worsened CDI, including drug-induced disturbances to the gut microbiome and colonic epithelial integrity,” they noted.